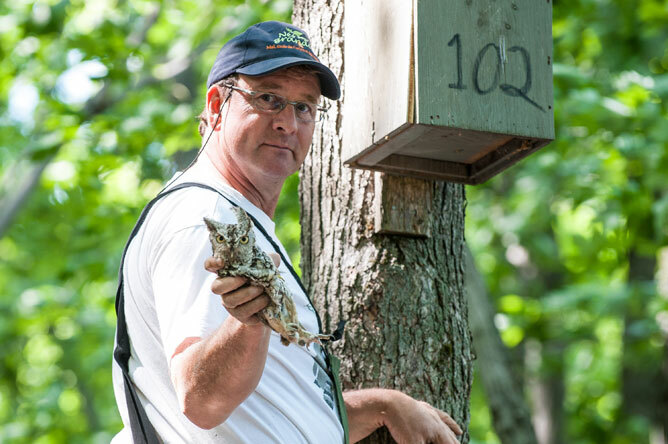 The Société d'aménagement de la baie Lavallière has also monitored Eastern Screech Owl populations for some twenty years. 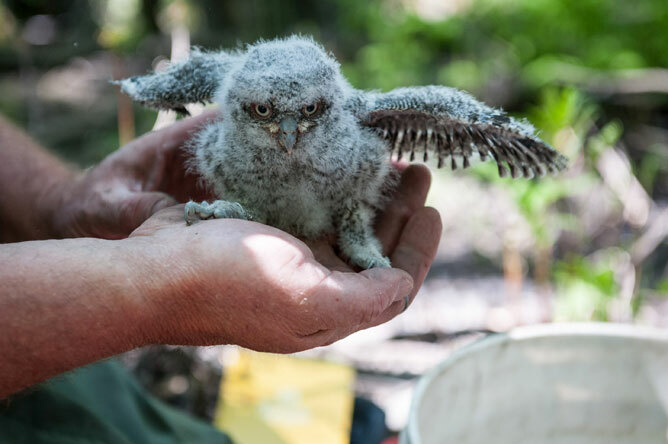 These birds of prey sometimes lay eggs and raise their young in boxes intended for Wood Ducks. The adults return to the same spot every year. The vast swamps of Baie de Lavallière are an ideal breeding environment for this species. There are four chicks in the average clutch. They remain in the nest for 28 to 35 days. 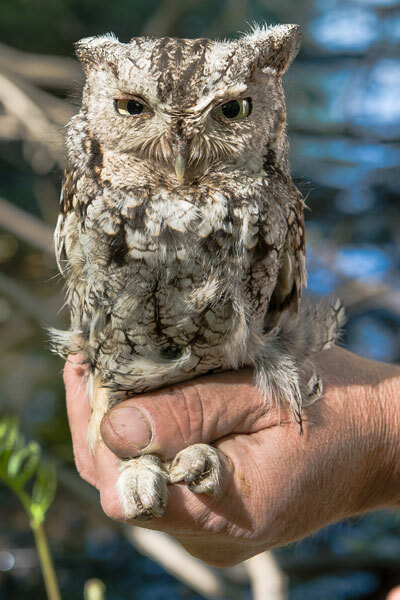 This young Eastern Screech Owl is starting to replace his down with real feathers that will enable him to fly. The chick is covered in wooly down. 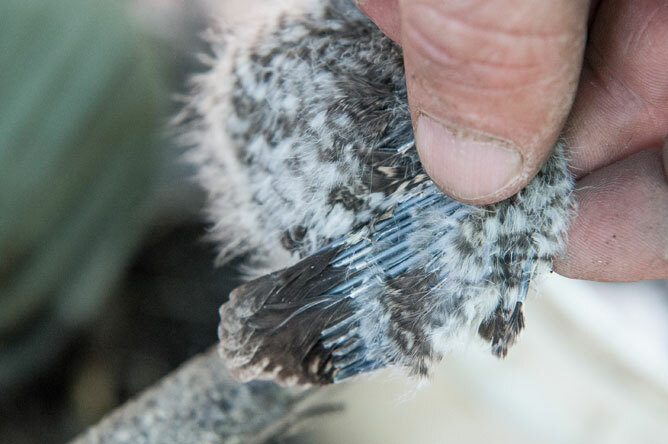 Researchers compare the length of the chick's wing feathers to its weight to assess its health. 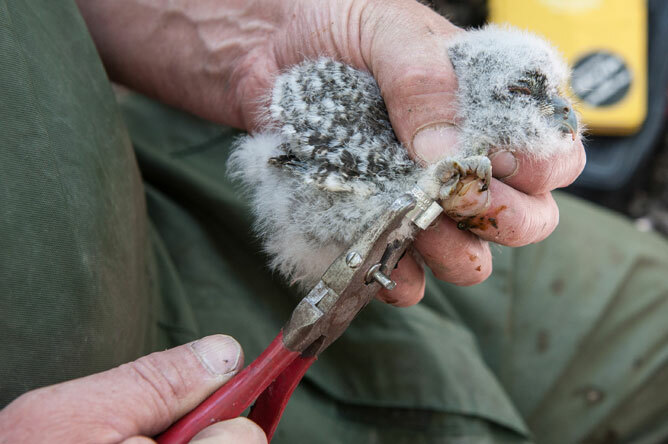 A band designed specifically for birds of prey is placed around the chick's leg. A flange prevents the bird from prying the band off with its powerful beak. 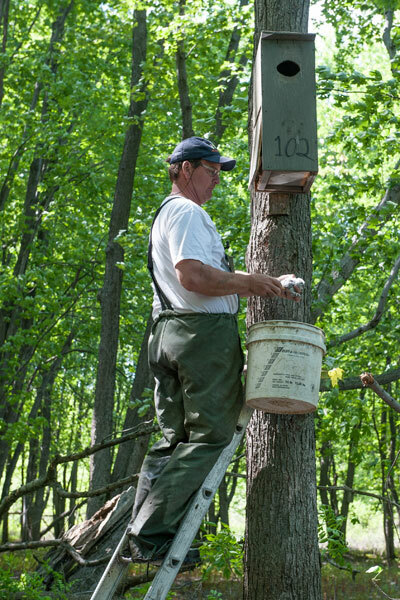 Banding birds allows researchers to track individuals over many years. 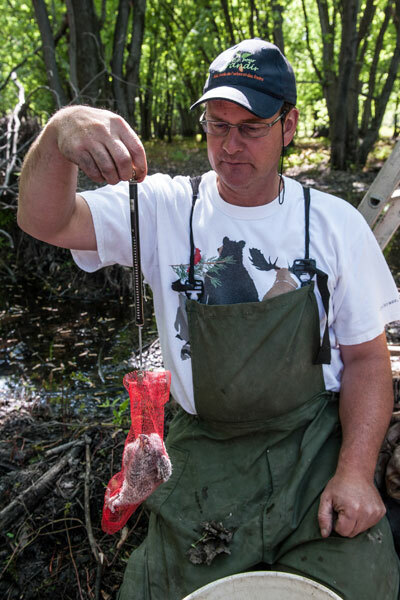 The chick is placed in a net to be weighed. 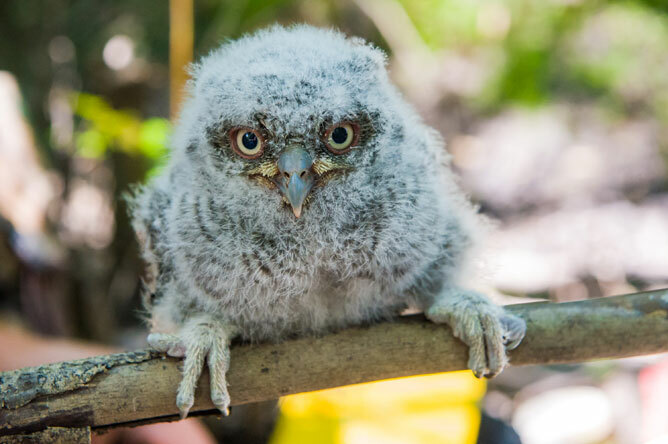 The Eastern Screech Owl is Quebec's smallest owl. As it is unable to make its own holes in tree trunks, it nests in boxes or in holes made by woodpeckers in dead trees.